Over 40 Years in Business! The business was purchased in January, 2006 by long-time employee, Mary K. Richardson. Mary, along with Tom Gwiazdowski, continue to operate Burnett’s Landscaping with the same standards as which it was originally founded. We employ three design salespersons, a full-time office manager, six experienced installation crews, a mechanic, and other support staff for a total of about 24 people during peak operation. The Burnett’s Landscaping staff participates in local and national trade and business associations. We are also proud to be involved in our community by supporting the arts, local charities, and the endeavors of our employees. Did you know? 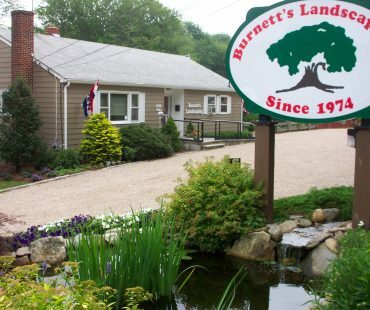 – Burnett’s Landscaping is partnered with Safe Lawns of Salem – with a focus on complete lawn and landscape care with a personal touch for each and every lawn. Visit Safe Lawns of Salem today! Check out Burnett’s Landscaping on Houzz.